The TT brings thousands of visitors every year to the Isle of Man, with its roads idolised by motorcyclists across the globe. One of the reasons for its popularity as a biking Mecca is that the route that the greatest riders of all time have ridden on can be graced by people like us. Anyone with two wheels and a licence can take to the Snaefell Course and ride over Braddan Bridge, accelerate out of Gooseneck and turn past the famous Creg Ny Baa pub. There aren’t many other places in the world where you can ride for free on the same roads and surfaces as greats from past and present. And that’s one of the reasons for the Isle of Man’s reputation as the world’s best riding destination. You can download our free spectator map but read on if you want to get directions for exactly how you can ride the TT course. How can I ride the TT Mountain Course? 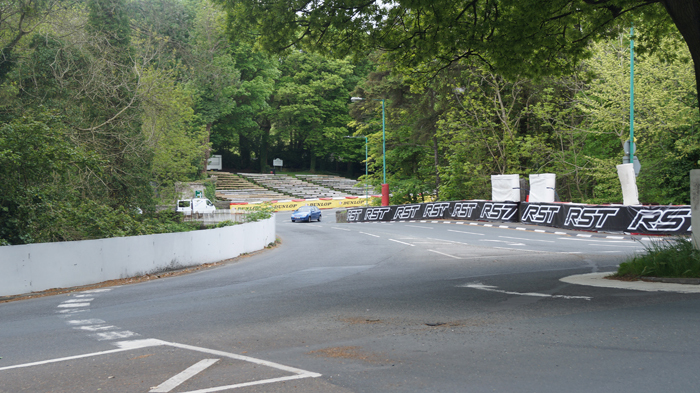 If you’re keen to try your hand at the Mountain Mile, over Ballaugh Bridge or through Sulby Straight, you can. We’ve created this route map showing exactly where to start and where to finish your very own lap of the TT circuit. With a total elevation of 850 metres across just over 37 miles of tarmac, it’s an experience many riders want to experience. Click More Options on the map below to get directions on how to complete your lap of the TT.